UPDATE: Comedy Central HD and Classics HD launch on Sky today | What Hi-Fi? Two new high-definition channels begin broadcasting on Sky+ HD today, Comedy Central HD (channel 222) and Sky Movies Classics HD (channel 346). The latter has "more icons than a web designer's desktop," says Sky, "and brings together the greatest names in movie history". Some of the first films to be shown on Classics HD this week include Rebel Without a Cause, The Good, The Bad and The Ugly, Bullitt and The Wizard of Oz. Comedy Central is coming in high definition to Sky from August 9th, and Virgin Media from September 1st. It will bring the number of HD channels on Virgin to 26, and the company says it will soon offer 30 HD TV channels. It's still got some way to go to catch Sky, which plans to have 50 HD channels by Christmas. Comedy Central HD will show programmes such as Two and a Half Men, 30 Rock and South Park, in addition to new UK commissions. Virgin will also make some popular Comedy Central HD programmes available on demand. "We're delighted to be expanding our line-up with Comedy Central's new HD channel," says Cindy Rose, executive director of digital entertainment at Virgin Media. 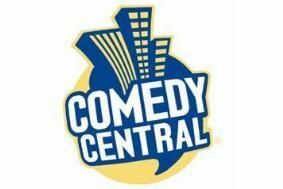 Comedy Central HD will be available on Sky's EPG at channel 222, and Virgin channel 133.